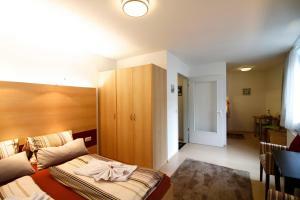 The apartments are 150m from the Marienburger Strasse stop on the M2 Tram. The Eberswalder Strasse Stop on the U2 U-Bahn Train is 900 metres away. If you expect to arrive after 18:00, please inform the Ambiente Apart in advance. Please note that garage parking is possible depending upon availability (see Hotel Policies). Please inform Ambiente Apart in advance of your expected arrival time. You can use the Special Requests box when booking, or contact the property directly with the contact details provided in your confirmation. This property will not accommodate hen, stag or similar parties. Modern studio features a flat-screen TV, seating area, and a private bathroom with hairdryer. A kitchenette comes with a refrigerator and stove. Also includes a balcony. Modern studio features a flat-screen TV, seating area, and a private bathroom with hairdryer. 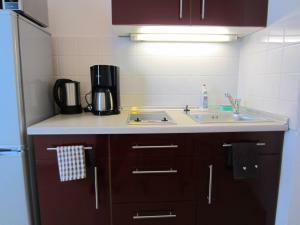 A kitchenette comes with a refrigerator and stove.